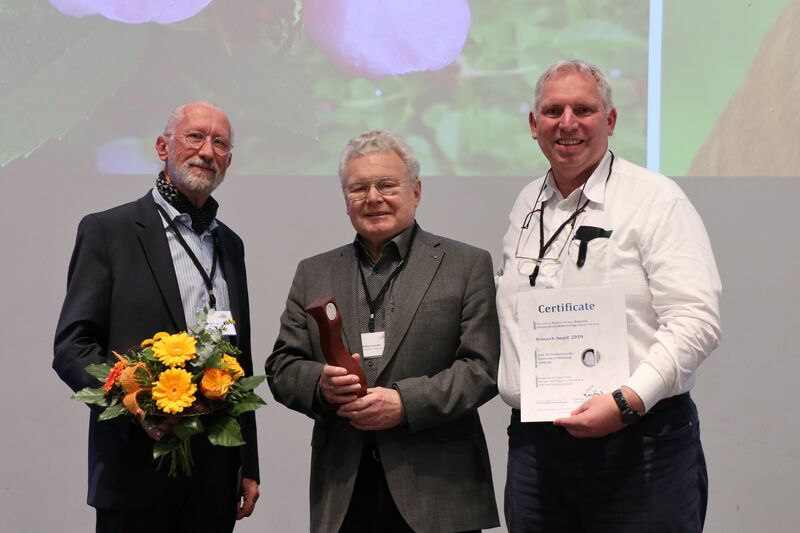 The Leibniz Research Award 2019 honors Prof. Dr. Wittko Francke for his groundbreaking achievements in chemical ecology. He discovered a number of bioactives originating from insects, fungi and plants. Beyond the chemical description of complex mixtures such as the pheromone bouquets of insects, he is strongly interested in the bio- and chemical synthesis and the biological activity of the discovered compounds. Results from his work contributed to the development of eco-friendly pest control. His interest was always open to other areas of ecology that can profit from his advanced analytical and synthetic expertise such as monitoring, biotransformation and biodegradation of xenobiotics. Wittko Francke fostered the field of chemical ecology in many ways, as e.g. coordinator of a DFG priority program “Chemical Ecology”, as member of the board of directors of the Max-Planck-Institute for Chemical Ecology in Jena, as president of the International Society of Chemical Ecology (ISCE), as member and chair of the board of Liebig-Vereinigung für Organische Chemie of the GDCh, as chairman of the Young Europeans in Environmental Research Jury. He collaborated with numerous international scientists. He edited several interesting books including the volume on natural products of the RÖMPP series, a chapter on pheromones in the Handbook of Natural Products, and on semiochemicals in the Topics of Current Chemistry; since 1991 he is co-editor of the widely known „Beyer & Walter“ textbook for organic chemistry. Furthermore, he is co-editor of the Journals Chemoecology, Journal of Chemical Ecology, European Journal of Organic Chemistry as well as the Liebigs Annalen. The Leibniz Research Award 2018 honors Prof. Dr. Jay Keasling for his groundbreaking achievements in synthetic biology. He is professor of chemical engineering and bioengineering at the University of California, Berkeley. He is also associate laboratory director for biosciences at the Lawrence Berkeley National Laboratory and chief executive officer of the Joint BioEnergy Institute. Prof. Keasling received his bachelor’s degree at the University of Nebraska-Lincoln. He went on to complete his Doctor of Philosophy degree at the University of Michigan in 1991 under the supervision of Bernhard Palsson. Keasling performed post-doctoral research with Arthur Kornberg at Stanford University in 1991-1992. His research focusses on developing foundational tools for engineering metabolism inside cells and to use those tools to solve important societal problems. A variety of tools have been developed for regulating metabolic pathways inside cells, novel metabolic pathways to produce unnatural molecules, and robust microbial hosts for producing chemicals under a variety of industrial conditions. These tools were used to produce the antimalarial drug artemisinin, a variety of commodity and specialty chemicals, and biofuels. 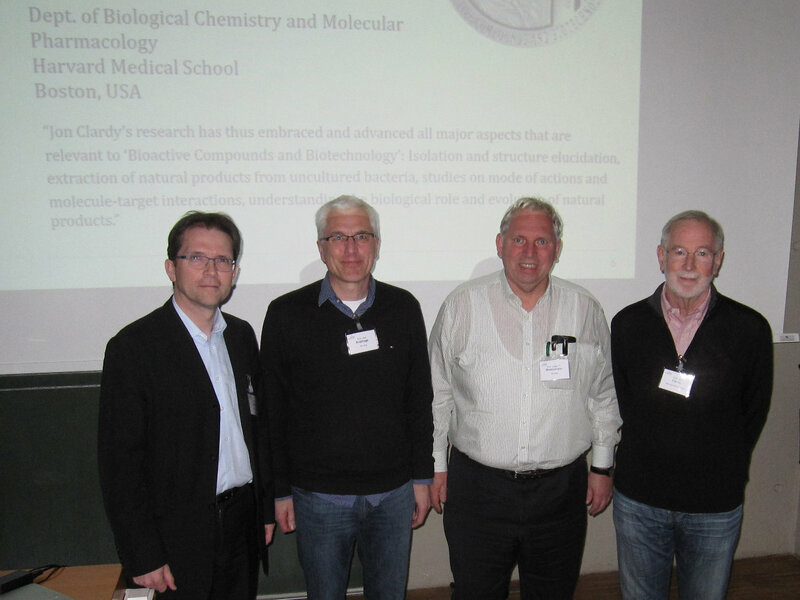 On the Leibniz Conference on Bioactive Compounds 2017, April 10-11, hosted by Deutsche Forschungsanstalt für Lebensmittelchemie (DFA) in Freising, the Alliance proudly handed the Leibniz Research Award to Prof. Dr. Jon Clardy from Harvard Medical School, Boston, USA. 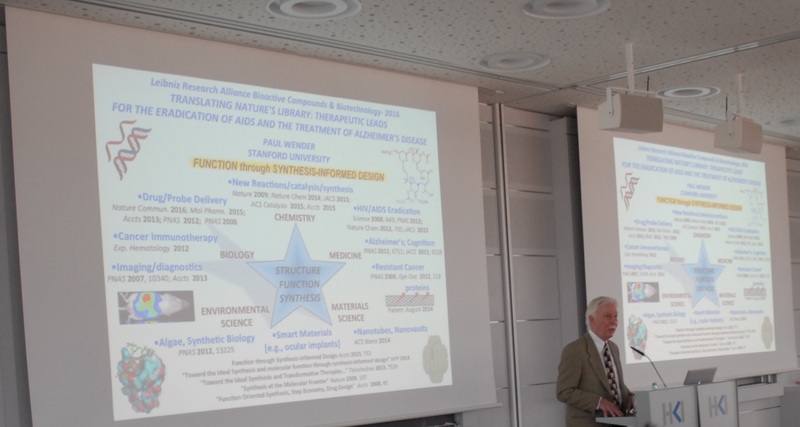 With this award they honored his outstanding scientific contributions to the understanding of the biological role of natural compounds – ranging from extraction from uncultured bacteria over structure elucidation to mode-of-action-studies. In a plenary talk during the conference Prof. Clardy gave insight into his research to the highly interested audience. 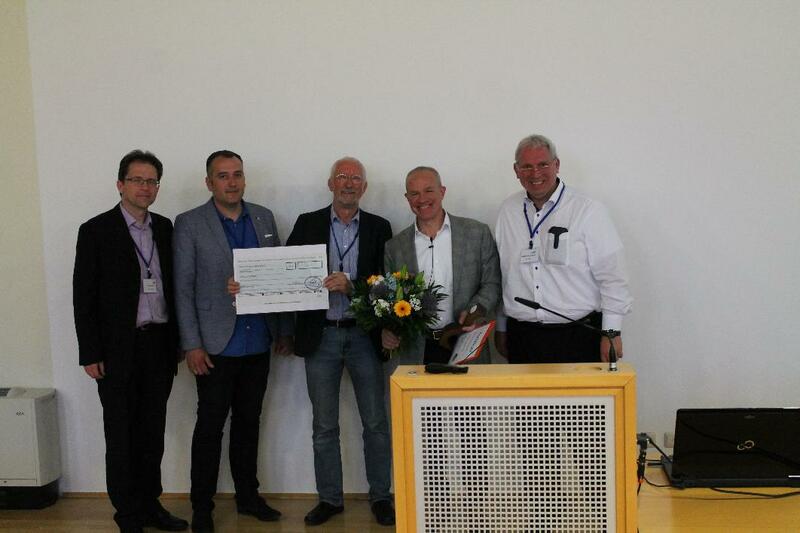 This year for the first time Leibniz Research Alliance Bioactive Compounds and Biotechnology rewarded Leibniz Research Award. 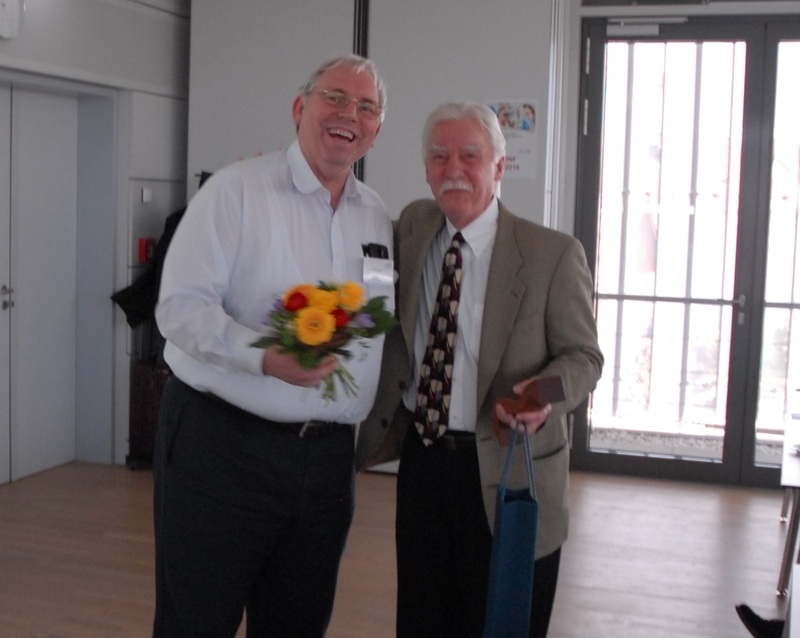 The award is granted in recognition of Prof. Dr. Paul A. Wender exceptional research and societal significance in medicine, biology, imaging and materials science at the “Leibniz Wirstofftage 2016 / Leibniz Meeting on Bioactive Compounds 2016” on 25.04.2016. in Jena. Over the past 40 years, Wender and his coworkers have had a unique and major impact on not only how we make molecules but on which molecules to make, merging major advances in synthesis with goals of exceptional research and societal significance in medicine, biology, imaging and materials science. He and his group have made seminal and impactful contributions to a range of sciences driven by synthesis of complex molecules in medicinal chemistry; real-time imaging; drug delivery with designed molecular and oligomeric transporters, nanotubes and nanoparticles; and chemical biology. Wender’s ability to connect innovative design and syntheses of small, medium and large molecules and molecular assemblies with major unmet medical needs is influencing how we think about making molecules and reaction science; leading to new concepts, tools, and companies for drug delivery; and driving new preclinical leads for the treatment of cancer, HIV/AIDS, Alzheimer’s disease, and in small molecule enhanced immunotherapy.